Follows the system — The franchisor's operating system has been developed, refined, tested, and proven over time in many locations. It works. And it's one of the major reasons you signed on to become a franchisee. The wheel has been invented. Your job is to ride it, as you agreed to do when you signed the franchise agreement. Franchisors know that a customer entering any of their retail locations expects the product or service to be identical with that of every other location — and they expect their franchisees to deliver it the same way every day. Replication is the secret sauce of franchising. However, if you have what you think is a better idea, share it with your franchisor. Pays royalties on time — Once a franchisor collects your franchise fee (which is used to pay for your training, site selection, opening, and support), in nearly all cases they make their money by collecting a percentage of your monthly sales, usually in the 4 to 8 percent range. If a franchise brand were a club, royalties are the membership dues, vital to remaining in good standing. Pay them regularly or risk losing your right to operate the franchise. Shows leadership — As the franchisee operator, you are the responsible for everything that happens at your retail establishment. Everything. As such, you set the rules, establish the culture and values, and hire and train the people who will work in your store. You lead by example and set the tone for every employee and customer. You are the CEO of your business. Even if you hire a manager to run the store, you are still the responsible party. People person — For both the employees who show up to work and the customers who show up to shop, your job is to make everyone feel at home. In retail, your employees are often young people with little work experience. They are looking to you for guidance, training, recognition, and self-esteem. Show them that you value them. Recognize their contribution to your business. The same holds true for customers: without them you're dead in the water. Do your best to also make them feel valued, comfortable, and glad to come back. Retail is a people business. A smile goes a long way. If you can't do these things, find someone who can or consider a different type of franchise. Marketing savvy and skills — While a franchise may be described as "a business in a box," customers are not included. You have to find them, and there's a lot of competition out there. 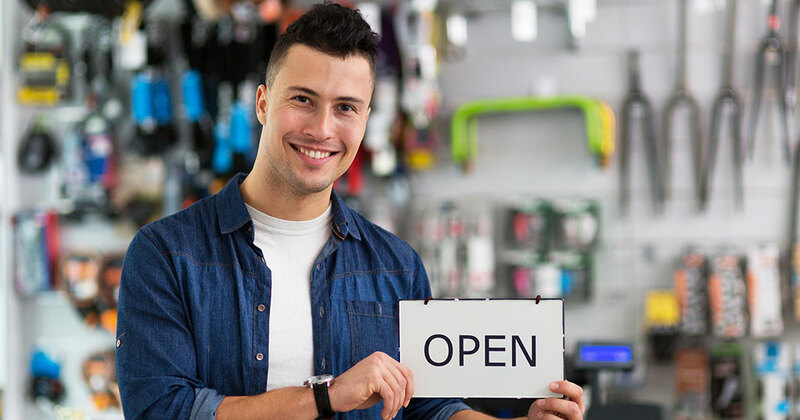 While your franchisor will support your pre-opening and grand opening marketing efforts, and a well-known brand guarantees some level of consumer success, it's up to you to make your retail location sing. Marketing technology tools and social media are important, but not enough to guarantee success. Hitting the streets, knocking on doors, and meeting your neighbors face to face, whether consumers or fellow business owners, are a necessity in your quest for success. Community-oriented — As part of your marketing strategy, get known in the community by joining local business groups such as the Chamber of Commerce or the Rotary. A large part of success, it's said, is showing up. Support local community organizations as well, from schools and their after-school clubs and sports teams to soup kitchens and hospitals. Sponsor a Red Cross blood drive. Set up a charity jar instead of a tip jar. Spread the goodwill by changing the beneficiary periodically. Your franchisor should be able to help you learn how to be a good citizen. And instill these values in your front-line employees as well. Product evangelist — There's nothing like enthusiasm and a genuine love for the brand and its product or service to keep the customers coming in, coming back, and telling their friends about it. Enthusiasm is contagious. You want to infect your employees, who are the face of the business, and you want to "share the love" with your customers – each of whom wants to be treated as if they're the most important person to ever walk in your door. As the wise parent says about their children, "They're all my favorite!" Business skills — In addition to all this, you also must manage your business on a daily, weekly, monthly, and annual basis. Part of this capability will come in the initial training, where you'll learn the basics of running a business (versus your business running you). This will involve not only financials, but also employee schedules, inventory and supplies, keeping a clean shop, and learning to help employees grow. If you become known as a great place to work, the quality of your employees will steadily rise — and so will customer satisfaction and cash flow. Expansion-minded — Both you and your franchisor stand to gain from increased business. They collect more royalties, and you take home more money. While it's all well and good to turn your retail store into a humming profit center, it's even better if you open a second store and third store and do the same with them. In addition to increased profitability all around, you also gain in market penetration and brand awareness, starting a "virtuous cycle" as you become a greater part of and better-known presence in the community. Great communicator — Beyond communicating to your employees and customers, it's essential to communicate regularly with your franchisor, not only by sending royalties, but by asking questions or making suggestions. If you ever get in a jam, franchisors almost always appreciate knowing as soon as possible, so they can send help in the form of a field support representative, or by connecting you with a more senior franchisee who's been in your shoes and come out dancing on the other side. Like a parent with a child, your franchisor wants you to succeed and has seen it all before. Don't be afraid to ask for help or advice. Gives back to the system — Finally, after you become a success and have learned all the ropes, you can show your appreciation to the franchise system that supports you and your family by supporting the system. There are many ways to do this: volunteer to become a validation store for new candidates; ask to join the franchise advisory council; contribute your expertise on the franchisee intranet; become a mentor to new franchisees;, and more. Ask your franchisor how you can help. There's always something!